EOXLive, merges traditional Voice Brokerage with an interactive Electronic Trading environment for seamless execution. 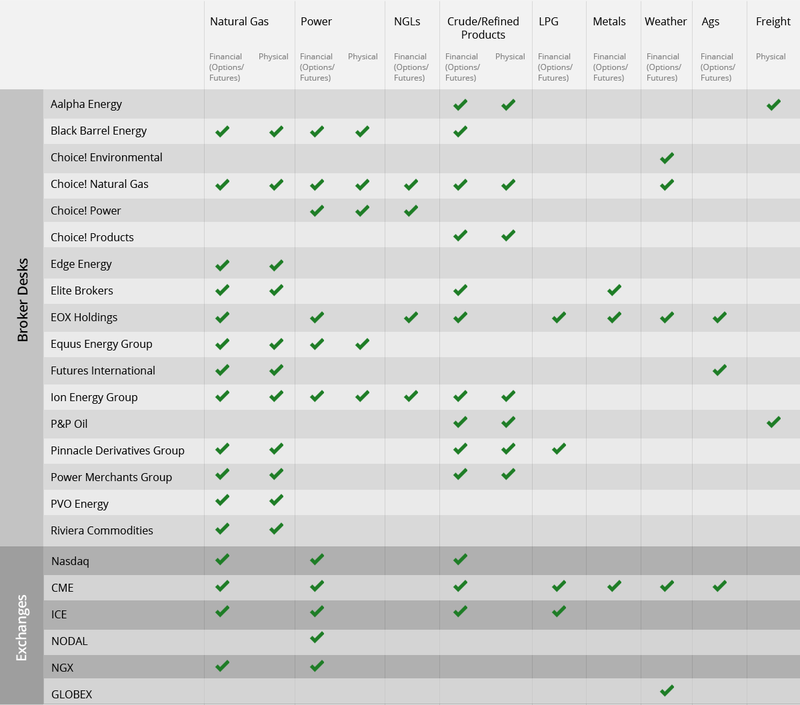 OTCGH is the dominant leader in block traded North American Natural Gas Options on ICE, CME and Nasdaq. Real-time analytics and live markets data from top brokers. Traders, risk managers, and market makers are able to submit orders and send requests through EOXLive as well as select ISV partners. The EOXLive platform provides live and indicative markets from top brokers for transparent and easy execution. EOXLive delivers anonymity and superior order execution by putting a broker behind every trade. The platform provides a transparent view of the OTC market, and allows clients to execute complex orders online.